Just as Canon, Sony or Panasonic, you can find premium compact cameras made by Nikon. One is DL18-50 f/1.8-2.8 with high-end specifications. Nikon DL18 - 50 can fulfill the dream of the photography enthusiast. The DL8-50 has 20 Megapixel 1 inch sensor, tilting OLED touchscreen, and an unusually wide zoom equivalent to 18-50mm. However, Nikon DL18-50 also equipped with 4K video recording. Nikon also offers two other models, DL24-85 and DL 24-500. Which one is better for you? Find out now. Is the premium compact camera like Nikon DL models can compete with the advanced smartphone camera, while simultaneously against other brands that offer similar technology? Nikon DL18-50 is empowered with the fastest ultra-wide-angle NIKKOR lens ever—18-50mm equiv. f/1.8 max. aperture NIKKOR ED glass lens. As mentioned above this premium compact camera has a large 1.0 inch type 20.8 MP backside illumination CMOS sensor. According to cameralabs.com, the DL series represents Nikon's much-anticipated entry into the now popular 1in fixed lens market, pioneered by Sony and now also proving lucrative for Panasonic and Canon. Along with the launch of the DL 18-50, Nikon also provides another model for you to choose which DL24-85 and Nikon DL24-500. -- are based around the same 1 inch type, 20.8-megapixel image sensor and a next-generation EXPEED 6A processor. Although they share some of the same features, but there are important differences between them as well. The closest competitor these three Nikon series are Canon GX, Sony RX, and the Lumix TZ / ZS / FZ models. Ergonomically the DL18-50 seems synonymous with Nikon DL 24-85. You can have a Nikon 18-50 at a price of US $ 849.95, while the 24-85 can be found for around $ 650. If you are not satisfied with the specifications of the two models, you can choose Nikon DL24-500. Although it has the same 20.8 megapixel sensor, but the DL24-500 equipped with Ultra-high-power 24-500mm equiv. f/2.8-5.6 premium NIKKOR ED glass lens. With a longer zoom range, the DL24-500 very suitable for traveling, because the DL24-500 f/2.8-5.6 delivers the reach and resolution of a professional super-telephoto lens in a compact package. 1. 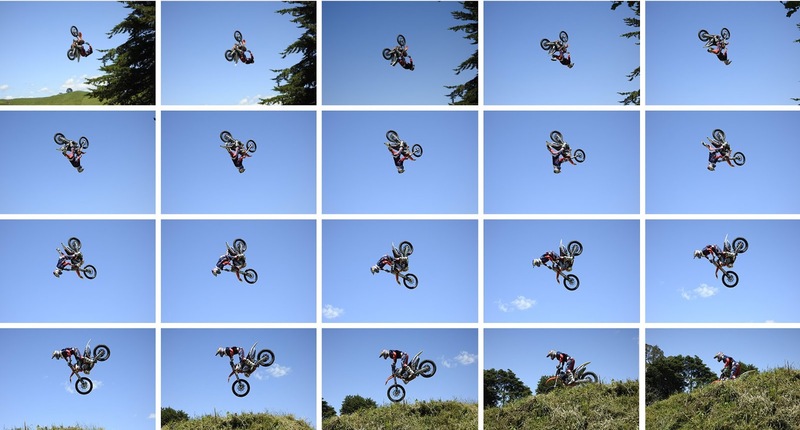 4K Ultra HD video recording, time-lapse, slow motion and Supelapse movies. 2. High-speed continuous shooting up to approx. 20 fps. 3. SnapBridge integration for real-time wireless sharing of images. Regardless of sensor size, resolution, and image processor, the DL18-50 and its siblings also share blazing-fast performance. In the era of madness smartphone, camera factory seems not to be left by the budding photographers who are always busy with their smartphones. That's why all models of Nikon DL, has been armed with In the era of madness smartphone, camera factory seems not to be left by the budding photographers who are always busy with their smartphones. That's why all models of Nikon DL, has been armed with SnapBridge which is an integration of NFC, WiFi and Blutooth low energy connectivity. These features wil eliminate the barrier between your camera and a compatible smart device, through a combination of Bluetooth Low Energy (BLE) technology and a dedicated app. 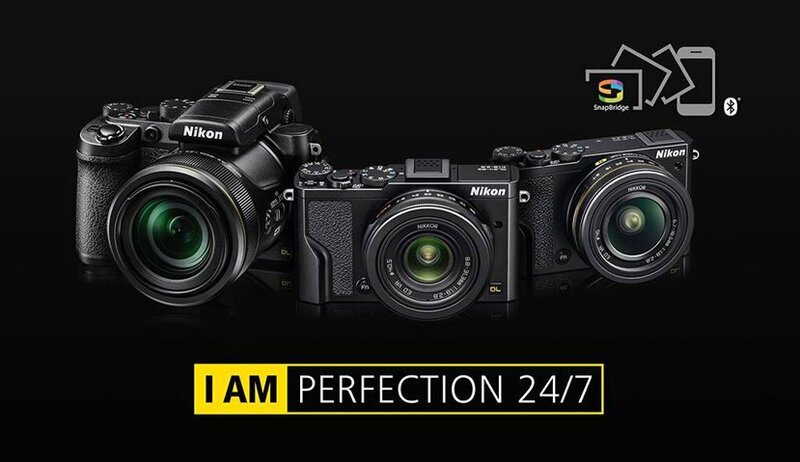 If you choose one of the models of the Nikon trio DL, you are ready to create the photographs, even has a range of creative features, and you are also ready to enter the era of 4K video. To watch how great image from a 4K video, of course you have to prepare a UHD TV with a 4K resolution. Are you ready?